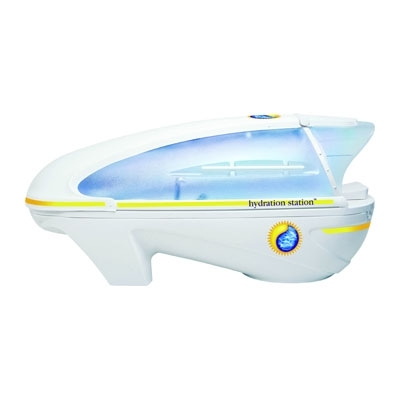 The Hydration Station prepares, prolongs and protects the skin for a rich, beautiful and long-lasting tan. It is the first revolutionary tanning technology to accelerate UV and sunless tanning results, prolonging the rich color achieved while deeply conditioning the skin. Radiant Heat is effectively absorbed throughout the body from head to toe creating a much more powerful, stimulating effect in the skin. As the radiant heat stimulates the skin, steam becomes a natural cleanser preparing it for greater product penetration and absorption while balancing the PH and replenishing moisture lost from tanning.